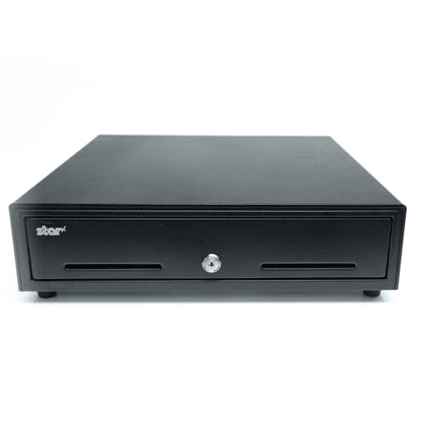 The SMD2 is an economy cash drawer that´s compatible with tablet point of sale. 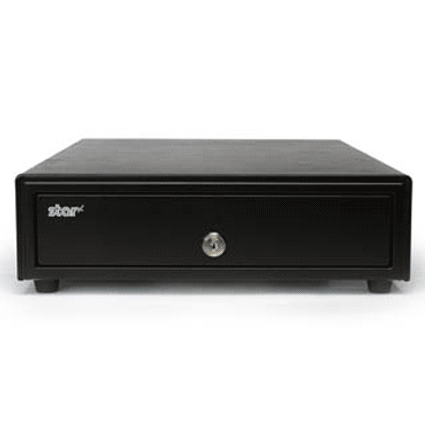 The Star Micronics SMD2 Cash Drawer comes in black or white, and is available in three sizes: 12" x 14" (coming soon! ), 13" x 17", and 16" x 17". The SMD2 is a steel printer-driven cash drawer, with optional wireless interface connector (DK-AirCash*) for communicating via WiFi, Bluetooth, or Ethernet. Available in a variety of size options, the SMD2 is ideal for mobile point of sale, such as food trucks and other tablet-based locations. Also features Kensington lock compatibility for added security. *DK-AirCash is only compatible with apps integrated with StarIO Software Development Kit. Please call for more information.